It has been three months since my mom died. Sometimes it feels like years ago. Sometimes it feels like yesterday. I have not been able to write a blog post since that day. My mind has been foggy, scrambled, gray, and unclear. Some days my heart felt heavy, sad, and lifeless. Other days, I have sensed the warmth of her memory in the flowers and sunshine that she loved so dearly. During the past months, some friends have asked how I am doing and others have kept an awkward distance, unsure of what to say. Family members have all processed their grief uniquely, sometimes drawing close to each other, sometimes pulling apart because of tensions, anger, or a desire to process pain alone. Some have cried; others held their emotions in check; still others could not find tears even when they tried. Some went right to work arranging details; others were paralyzed by their loss. In these three months, numerous other friends have also lost loved ones – children, siblings, parents, friends. Sometimes the deaths arrived as expected, peaceful, a long-awaited transition to a better place. Other deaths came suddenly, violently, shaking family foundations of faith and security. Some of my friends experienced death much like I did… at the bedside, providing care and comfort, counting the minutes as they turned into hours. Other friends had no opportunity to sit nearby at the end or intentionally chose not to go there. Some appear unaffected by their grief; others are clearly rattled, and others experience a bit of both depending on the day. I have found myself occasionally comparing my particular experience and my emotional response with others. However, I am learning that we cannot compare our different experiences with death any more than we can compare our different experiences with life. There is no right or wrong way to do this. There is no standardized approved amount of time, feelings, involvement, or impact that death brings to a person. Each birth, each person, each death is unique. Feel whatever it is you feel. Do what you can and leave the rest. Give grace, especially to yourself. Chose safe people and safe places. Sleep. Cry. Dance. Work. Laugh. Yell. Remember. It is grief and so it will be. 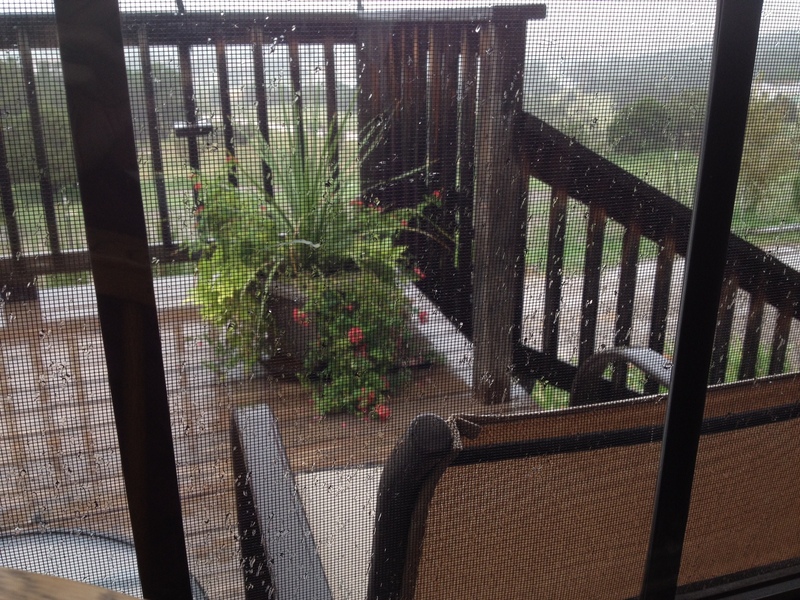 This rainy morning is my heart today – gray, foggy, cold, muddy, and deplete of any desire to do productive work. I want to return to bed, wrap myself in the comfort of soft blankets, drink coffee… and forget about the real world. 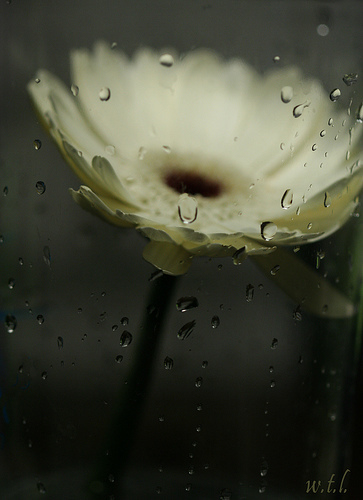 Intellectually I battle my mood… We need the rain. It is good for the plants. We’ve had such a drought – I should feel grateful. The rain will end soon, and sunshine will cheer me up again. I can DO this. Just get up and get moving. My reasoning doesn’t really help much. I am simply out of sorts today. There are legitimate reasons for my mood. The rain really is p.o.u.r.i.n.g. down, the mountain dirt road is truly very m.u.d.d.y. and not conducive to driving. My husband’s father is dying in another city, and our conversations center around hospice decisions, flight options, keeping family informed, and the schedule implications for my “other” life and future international trips. The emotions in my heart and the thoughts in mind are as gray, and foggy and muddy as the world outside my window. I am normally an active, optimistic, sunshine-loving, type-A person, but I am learning to accept my rainy days and foggy thoughts too. They are a part of my life, inevitable and unavoidable… even purposeful. Cleansing and new growth come from the rain… for the earth and for me. How do you handle the gray days in your life? *Update: My father-in-law died on Saturday, Sept. 14. My husband flew to be with him in his last hours. We appreciate your prayers for the family.